I hope it never happens to the magnitude depicted by Emerich. That was a pretty good movie. But the things depicted in it were totally fictional. Much of the weather effects and climate changes shown were completely impossible. But we may in fact see drastic changes in climate in the future. Europe is especially at risk if something dramatically alters the currents in the North Atlantic; that is what keeps Europe with a temperate climate. Without that, Europe would get much colder. But most of the effect of climate change will take decades or centuries to fully manifest. Even the shortest-scale changes would probably not take less than a year. So the world changing over the course of a single week is not something we ever need to worry about. Just whoa is all I can think of. I'm currently having the pics of this selection and few others rotating as screensaver..
Wow Solaris, that last image is amazing, where is it from? I've find it here, from Rosetta. Color image of Earth taken on 2009-11-13 09:35 UTC by Rosetta's OSIRIS wide-angle camera. Narrowband filter frames centered around 630 nm, 590 nm and 390 nm were processed to approximate a natural color appearance. The filter combination available was largely "blind" to green wavelengths so areas covered in vegetation are not nearly as prominent as they would be to the human eye. 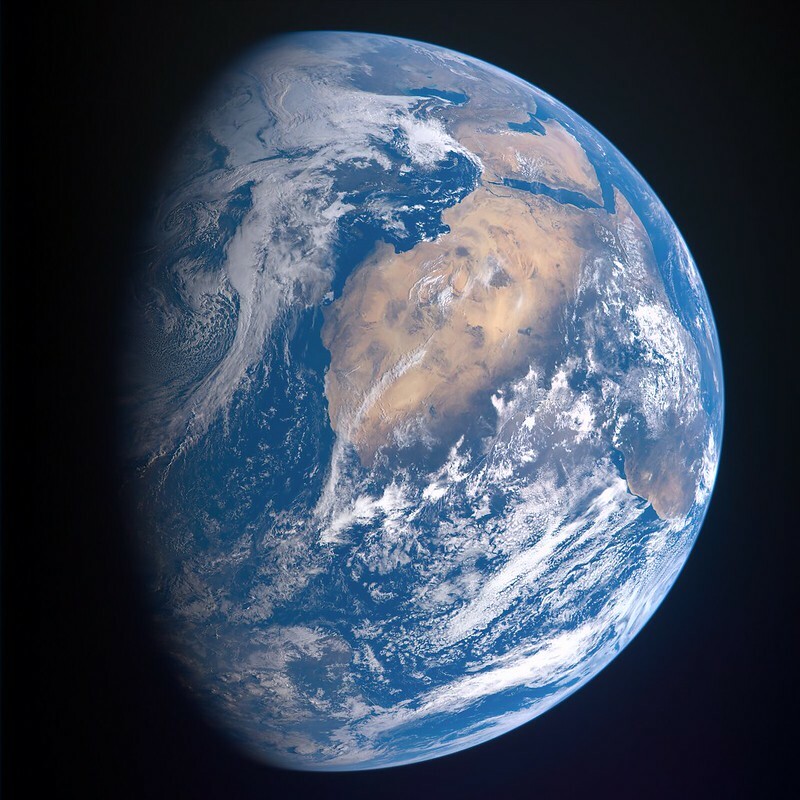 Today/yesterday (7 December 2012) is the 40th anniversary of the capturing of the famous Blue Marble photograph - and also the last time humans ever departed Earth for another world. A nice video has been made which highlights the unique and important perspective viewing Earth from afar has given to us. Most of the commentary is from astronauts.